Here’s your history lesson for today, folks… let’s learn about barley. If you are a “meat and potatoes” kind of person, barley is a great item to add to your grocery list. Barley rations go all the way back to biblical times, I think, it’s healthy, hearty and inexpensive; is one of the world’s top harvested grains; and here’s a fun one– one of its main purposes is for producing beer and malted beverages. Now that you’ve done your studies, let’s prepare your eats! 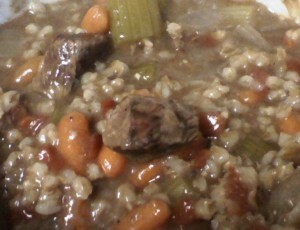 This stew is meaty and thick and satisfies the hungriest belly. It is a meal in itself, but I prefer a small bowl of it with a side salad— and a beer, so I can be consuming barley in multiple forms. 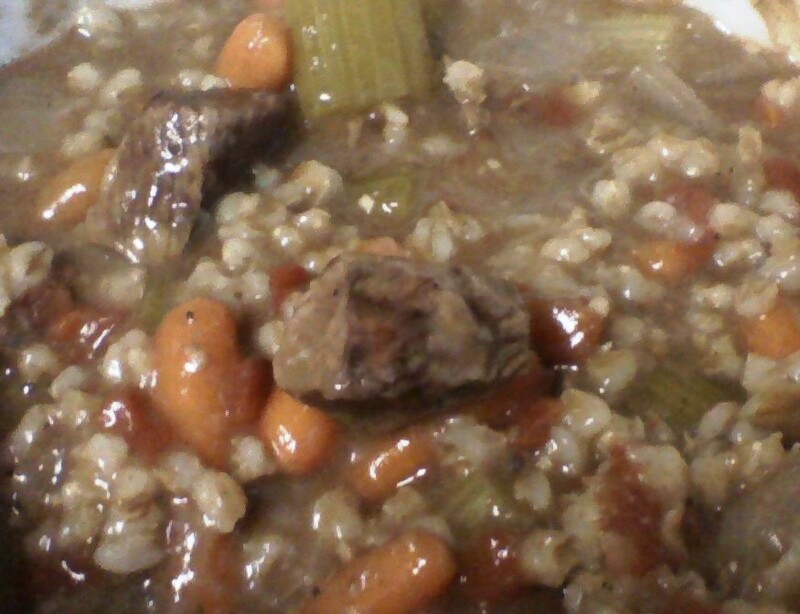 🙂 This is a nice variation to the common beef stew. On a nice fall day like today, your house will be filled with the warm smell of meat, vegetables and an easy dinner. Enjoy! Add all ingredients to the crock pot in this order. Give a little stir, just enough to promote mingling. Cook on low for 6-8 hours.